We moved out to the country when I was in the third grade. It was in the middle of the school year and I remember being so scared to go to a new school. My folks were really excited about country living and after a while, that little house in Yankton, OR became a home. 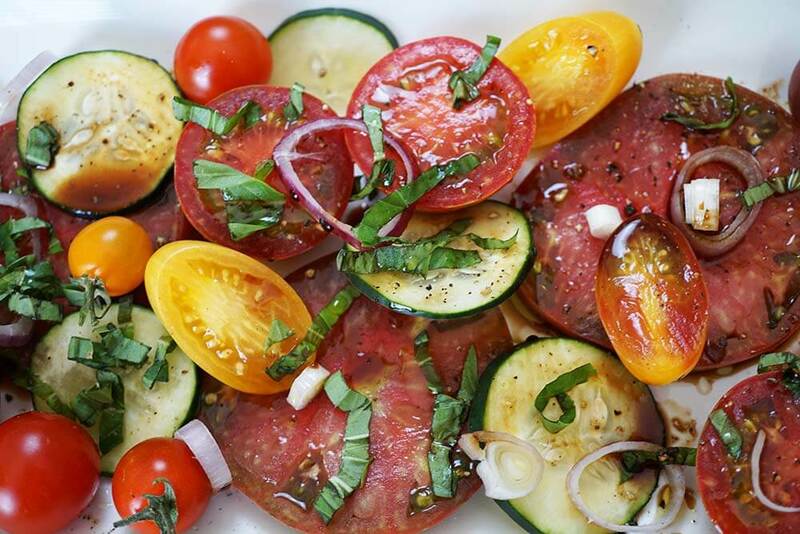 Tomatoes, cucumbers, onions and basil – doesn’t get much better than this! Anyway, when we moved out to the country Dad put in a vegetable garden – 120′ x 100′. 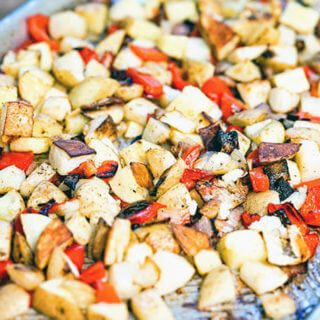 Half of it was potatoes, one quarter squash and corn, the rest tomatoes. The first year we harvested over 700 pounds of potatoes! The zucchini squash grew so big and there were more tomatoes than you could shake a stick at! Surprisingly enough I still enjoy tomatoes to this day! Last week when I visited the farmers market it took me back to our time in the country. The tomatoes were piled high, there were amazing veggies everywhere and all of it smelled so good! 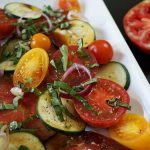 I was definitely inspired to make this yummy Heirloom Tomato Salad. So much gorgeousness right here in this yummy salad! A beautiful salad like this is so easy to make! Next time you are at the farmer’s market or grocery store, walk past those perfectly red, round tomatoes and head to the heirloom tomatoes. These are going to cost a bit more, but they are totally worth it! Heirloom tomatoes come in all different sizes, shapes and colors. Some are yellow, others green (but they are actually ripe!) some have tiger stripes and are deformed, most have scabs. 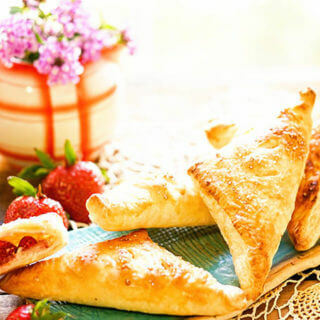 But they are simply the BEST – sweet, juicy and delicious! 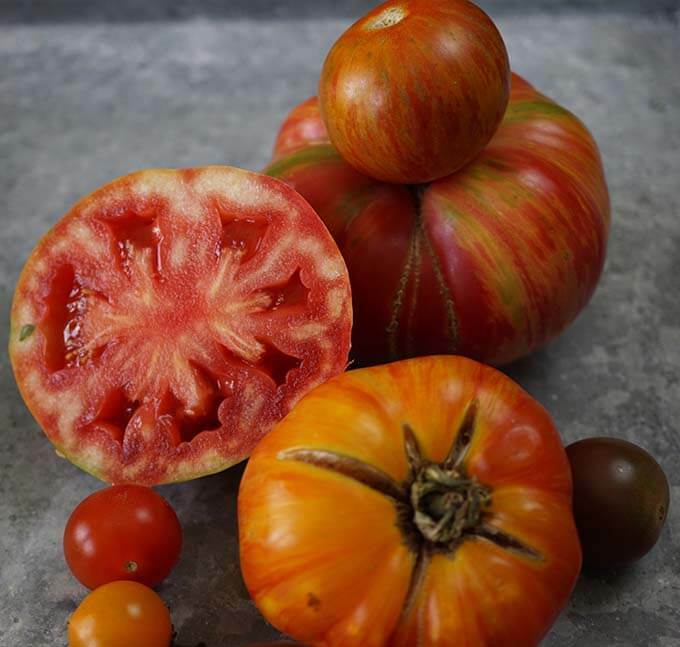 Heirloom tomatoes – none are perfect, but they are perfectly delicious! Don’t refrigerate the tomatoes – tomatoes are best when kept at room temperature. Store them stem side down and out of direct sunlight. Also do not stack them. 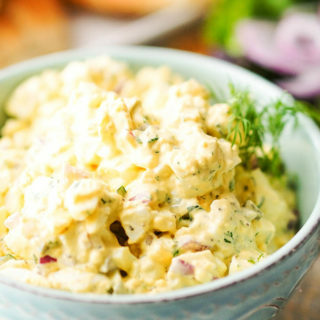 This delicious salad is perfect for a holiday BBQ – it’s best at room temperature, so it can sit out on the buffet without a worry. Are you worried about eating clean? 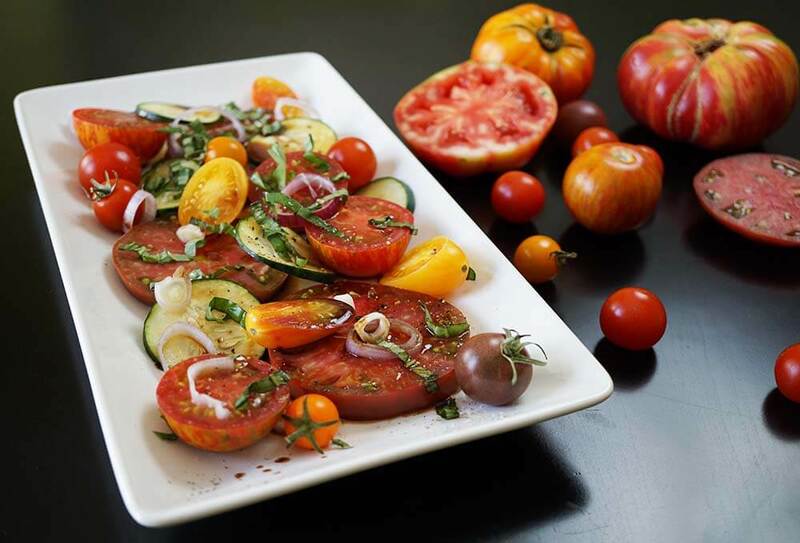 Heirloom Tomato Salad uses only real natural food. It shows off the very best of summer's bounty. 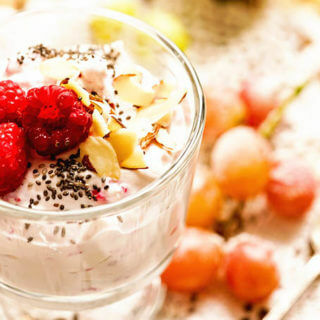 Easy, delicious and as good as it is good for you! Slice the large tomatoes thinly and arrange on a plate or platter. Add different assortments of tomatoes - if they are small, cherry-sized - no need to slice, the medium sized tomatoes I slice in half or thirds. 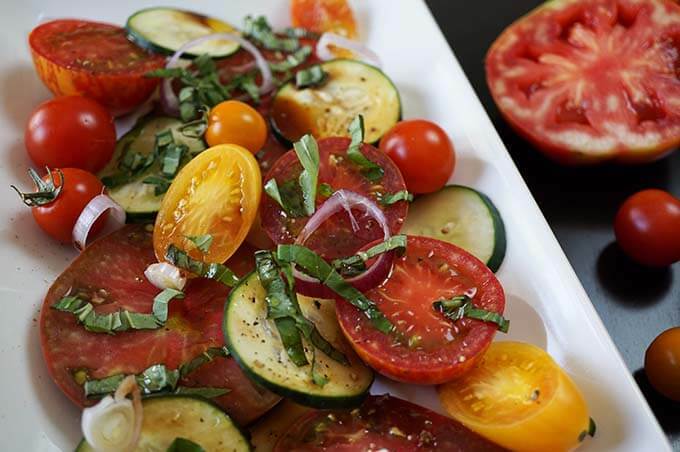 Thinly slice the shallot and arrange over the tomatoes - the same with the cucumber. Clean & dry the basil leaves. Stack them on top of each other and thinly slice them into ribbons - scatter them over the top of the salad. Thank you so much – gotta love a great tomato and this is simple and perfect! Thanks for the childhood memory and for this lovely rendition of an heirloom tomato salad. It looks bright and beautiful. You are so lucky as I have said before to have such a great farmer’s market. Thanks Patty!! We are so lucky, can’t get much better than a year round farmers market!! Okay, holy potatoes first off – 700 pounds?! I can’t even fathom. Okay, now that I got that out of the way, this tomato dish looks so beautiful and exudes summer! Love it. Yup! 700 pounds of potatoes, no lie!! In fact when I wrote this, I originally had 600 pounds and my Dad called to correct me and said it was 700!! Year two in the country and we cut way back on the potatoes we planted and only had 300 pounds! 😀 I’ve eaten a lot of tatters in my day!!! Thanks for the kudos on the salad – happy 4th of July to you & yours Christine! Wowsa! These are some beauties here and I can just imagine how great they taste in your creative salad; thanks for this post, we are definitely going to be trying this, once our tomatoes come in! 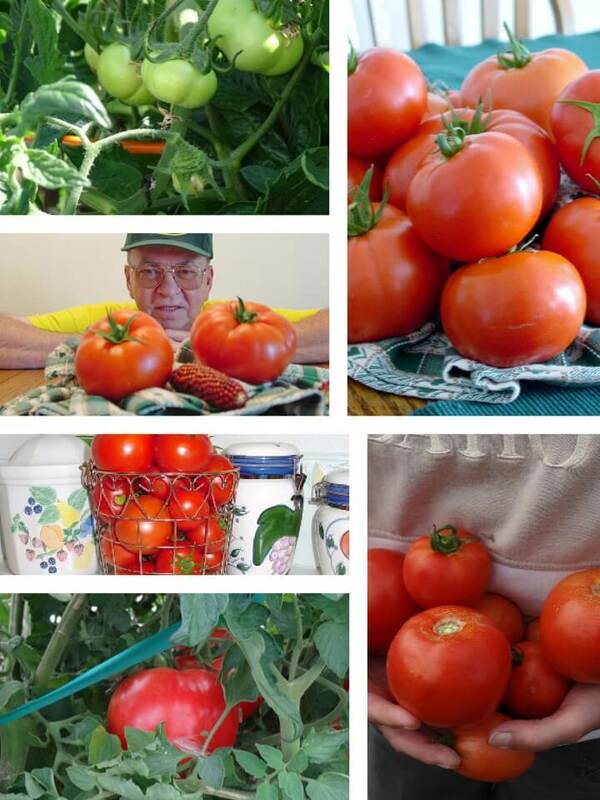 I remember when I lived in Wisconsin – seemed like tomatoes took forever before they were ripe! I hope you enjoy this yummy salad guys!! I love heirloom tomatoes. They are so perfect for summer. This is such a simple and fresh salad. Thanks Peter – totally agree, such a yummy burst of summer! holy tomato, this looks delicious! Thanks for linking up with lets get real. LOVE those tomatoes – so much flavor, you could eat them like an apple, YUM! Debra, your Heirloom Tomato Salad will be my feature from this week’s party. 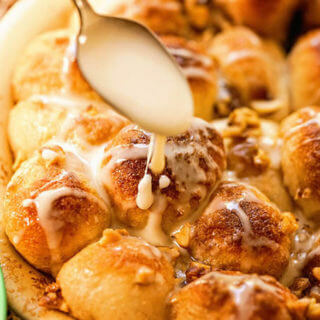 Your recipes stand out because your photos are wonderful. Plus, tomato screams summer to me and it is so fitting! Love those summer tomatoes, I was back again grabbing more at the farmer’s market yesterday! 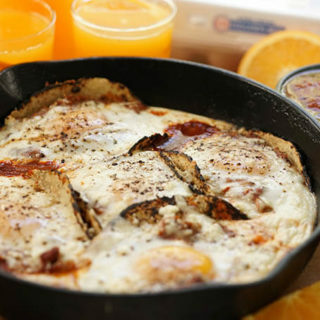 😀 Thank you for the compliment and for featuring my recipe, very exciting!!! Heading your way now!! Gorgeous tomatoes and salad! Thanks for sharing with the Let’s Get Real party – this will be my featured post at this week’s party. How exciting Gaye – thank you very much!! Heading your way to check it out now!!! I LOVE heirlooms!!! Which means I need to run the farm and grab some so I can make this salad!! Yes!! So much wonderful flavor – heirlooms make all the difference. Thanks for stopping by Angela! !